The year 2010 proved to be particularly dry and relatively hot - climate data characteristics of the great Bordeaux vintages (1929, 1945, 1947, 1959, 1961, 1989, and 2009). From spring onwards, this dry hot climate was prevalent right up until the first days of autumn; this meant that the grapes had ideal conditions in which to grow and reach a perfect maturity. We waited to harvest with growing confidence and a sense of inner calm. 20 hectares adjoining the property were added to the existing Montrose vineyard, expanding our one single vineyard, of excellent and homogeneous quality. The perfect maturity of the grapes and above all the superb quality of their tannins enabled us to find the perfect balance between power and elegance, body and finesse. The tannins are silky and smooth with complex aromatic qualities of a great Montrose wine.From spring onwards, this dry hot climate was prevalent right up until the first days of autumn; this meant that the grapes had ideal conditions in which to grow and reach a perfect maturity. We waited to harvest with growing confidence and a sense of inner calm. 20 hectares adjoining the property were added to the existing Montrose vineyard, expanding our one single vineyard, of excellent and homogeneous quality. The perfect maturity of the grapes and above all the superb quality of their tannins enabled us to find the perfect balance between power and elegance, body and finesse. 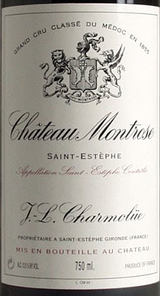 The tannins are silky and smooth with complex aromatic qualities of a great Montrose wine. Rock solid, displaying a dense core of plum, steeped currant and braised fig fruit, with racy charcoal and ganache notes. 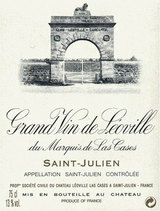 Intensely chalky, offering flesh and refinement to match the bracing minerality, this shows hints of grilled savory, iron, warm paving stone and bitter orange on the riveting finish. Should age very slowly. Best from 2019 through 2038. This is such an elegant wine that has all the structure of the vintage. Surrounding the tannins, the wine is sweet and ripe, with smokiness from the wood. It's powerful, elegant and sophisticated with a strong sense of poise. The tannins promise long-term aging.